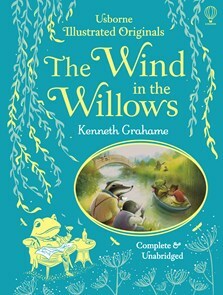 Join Mole, Ratty, Badger and Mr. Toad in their adventures and antics, from venturing into the dark and dangerous Wild Wood to larking about in their boats, in this enchantingly illustrated edition of Kenneth Grahame’s timeless classic. Complete and unabridged, this is a beautiful gift to be treasured and shared year after year. Complete and unabridged, this new edition has beautiful watercolour illustrations throughout, making it ideal for reading to children or to help develop reading on their own.